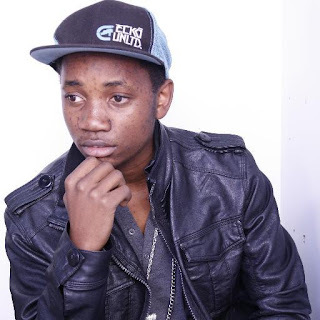 Some might have heard of Mlue Jay's track Bulawayo to Jozi, which made him garner him 1000 downloads within 24 hours. This track also got him recognition from the Hip-Hop fans around Africa, eventually attracting the attention of Nigerian femcee, Bless Queen. Apparently the singer says she heard the track and loved it and asked Mlue if they could put out something together. The result is a track set for a 1 November release date before the mixtape drops. The title of the collaboration track is "Am Sorry For The Pain". The concept is about a guy who cheated on his girlfriend and now wants her back. The Come Up mixtape features quite a number of artists like Cliff Jeans, Bret Rammz, Rhyme Assassin, Izzy, Krazy Kid, Trigga Tregous (RSA), Mash Philly and Supreme Williams (RSA). It is set to drop before the end of the year. Mlue_jay (real name Mlungisi Moyo) is from Magwegwe West, Bulawayo but is currently in S.A studying Sound Engineering and Music Production. He was introduced to music as pre-teen 12 year-old. He part of the upcoming Bulawayo Zim Hip-Hop crew L.V.5 ENT that also includes Geeky_M and Gimel Gunyana.